There has been much discussion and debate on the use of electronic health records and whether they are capable of improving the quality of care. In the recent Stanford University study by researchers Max Romano and Randall Stafford, MD, PhD, there was not much indication of quality improvement. In another study from Britain they were likewise unable to find empirical evidence of quality and safety improvement. However, my conclusion, unlike the headlines which blared "EHR Systems Do Not Improve Quality," is that while the technology itself will not automatically improve quality or safety the "meaningful use" of this technology can and will improve clinical outcomes and the quality of care. My concerns on the EHR Incentive Programs are not centered on this debate, but rather on components of the legislation and regulations. I'm trying to remain optimistic about these programs, but there are some issues that I would like to highlight as potential roadblocks to success. Unfortunately, many of these problems are written into the legislation and can not be fixed by future rulemaking, but will require Congress to act. And the amount of incentive payments are too low and will not cover the transition costs for providers that are still on paper, although hospitals and health systems that have already made significant investments in health IT will see some return on their investment. I'm not much concerned that HR 408 the Spending Reduction Act of 2011, which would defund the HITECH Act incentive program, will become law. However, I would like to see checks make it to providers before future stages of meaningful use become a political football. There are potentially some serious difficulties that rural providers and small hospitals will have being able to fund these projects within their limited resources, considering that the incentive payments will barely, if at all, cover the costs of implementation. I fear that billions of taxpayer dollars will pass right through the hands of hospitals and physicians and go straight to the bottom line of health IT vendors. Healthcare providers could end up having a very hard time maintaining the meaningful use of their EHRs with a dwindling revenue stream. The CBO estimated in 2008 that EHR implementation costs for hospitals amount to approximately $14,500 per bed for implementation. Annual operating costs amount to $2,700 per bed per year. For physician groups, the CBO reported that total implementation costs for office-based EHRs ranged from $25,000 to $45,000 per physician, with annual operating, licensing, and maintenance costs ranging between $3,000 and $9,000 per physician. These figures are conservative at best and costs have certainly risen since then in any event. The costs will continue to increase due to market pressures and vendor workforce shortages. There are also eligibility problems that some providers in a Rural Health Clinic (RHC) setting are facing. The HITECH Act created an EHR incentive payment for an Eligible Professional (EP) under Medicare based on the allowed charges for covered professional services furnished by the EP. Only services billed under the Part B physician fee schedule meet the HITECH Act definition of "covered professional services." This means services provided in an RHC would not be included in the calculation for the Medicare EHR incentive. These providers may still qualify under their states Medicaid requirements, but only EPs who meet the 30 percent threshold for "needy individuals" as defined in statute and other program requirements will qualify for payments. This section of the law will cause some providers in rural and underserved settings to be unable to participate in the program at all. This same section of the legislation also precludes Medicare Advantage providers from participating directly in the program since they do not bill Part B. 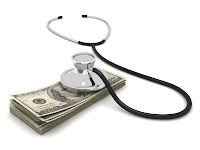 Under the Medicare Advantage EHR Incentive Program, payments are made only to Medicare Advantage organizations that are licensed as HMOs, or in the same manner as HMOs, by a state. It seems that the legislation was crafted with particular lobbying interests at the table, and while no bill is perfect the HITECH Act was rushed through rather quickly and mistakes were made which are unlikely to be addressed in the current political environment. Another group that is left out are Physician Assistants (PA)s, unless they are working in a RHC led by a PA. There are many PAs working in settings that will disqualify them from participating in the incentive program and this already having an effect on recruitment strategies. Why would a practice hire a PA who is ineligible instead of a Nurse Practitioner who is eligible? This can also create difficulty and confusion for EHR adoption strategy by clinics attempting to create a patient-centered medical home. The wise use of mid-level practitioners can be an important key to success. Addressing the primary care physician shortage is not helped by this provision in the legislation. "With federal officials pursuing the goal of a personal human genome map under $1,000 in five years (White House, 2010), it is possible to envision a future where treatments are tailored to individuals’ genetic structures, prescriptions are analyzed in advance for likely effectiveness, and researchers study clinical data in real-time to learn what works," said Mr. West in the Executive Summary of the report. "Implementation of these regimens creates a situation where treatments are better targeted, health systems save money by identifying therapies not likely to be effective for particular people, and researchers have a better understanding of comparative effectiveness," he adds, citing the PCAST Report. The summary goes on to say, "Interoperability represents a major challenge because of the difficulty of integrating data from different sources. If researchers and healthcare providers are not able to exchange information, it raises the cost of health care and makes it difficult to learn in real-time. A considerable amount of medical information is collected, but too little of it is integrated or put into data bases that are usable for research or public health purposes." A shift from a hierarchical delivery system to one that features greater transparency, collaboration, and patient involvement with more more empowered relationship between primary care doctors and their patients. An explosion of digital resources available over the Internet for patients as well as physicians. The work of the Human Genome Project and further research has established links between gene structures, human illnesses, treatment effectiveness, and adverse effects. The report goes on to identify policy challenges and provides recommendations including new approaches to privacy and access control. This is an excellent paper and I recommend studying it carefully. The 24% of seniors who reported living with three or more chronic conditions were responsible for 40% of health care use among Canadian seniors. Seniors with three or more chronic conditions reported using three times as many health care services as Canadians age 65 and older with no chronic conditions. Those with three or more chronic conditions also reported more than twice the rate of visits to a family doctor as seniors with only one chronic condition. Similar patterns of health care use existed among adults age 45 to 64; those with three or more chronic conditions made six times as many health care visits as those with no reported conditions. Seniors with three or more chronic conditions made three times as many visits to emergency departments as seniors with no reported chronic conditions. CIHI’s study findings are based on the 2008 Canadian Survey of Experiences With Primary Health Care, conducted by Statistics Canada and funded by CIHI and the Health Council of Canada, which surveyed adults not living in institutions or remote areas. The 11 common chronic conditions included in the study are arthritis, asthma, cancer, chronic pain, depression, diabetes, emphysema or chronic obstructive pulmonary disease, heart disease, high blood pressure, mood disorders other than depression and stroke. The study found that Canadian seniors with three or more chronic conditions reported taking an average of six prescription drugs regularly, twice as many as seniors with only one chronic condition. Seniors with chronic conditions regularly taking at least five prescription medications were more than twice as likely to experience a side effect requiring medical attention (13%) as those taking only one or two prescription medications (6%). Yet less than half of seniors with chronic conditions reported that their doctor reviewed their medications (48%) and explained potential side effects (47%) at least some of the time. While the majority of seniors reported having a family physician, only two out of five (42%) reported that at least some time in the past year they had talked with a health professional about what they could do to improve their health or prevent illness (including quitting smoking, increasing exercise or limiting alcohol consumption). The results were similar for tomorrow’s seniors, as only 45% of adults between the age of 45 and 64 spoke with their health care provider about things they could do to improve their health. Though the public remains divided on health reform overall, opposition to the new law ticked upward in January as Republicans ramped up efforts to repeal it, according to a new survey conducted by researchers from the Kaiser Family Foundation and the Harvard School of Public Health. "Budget experts say that the budget deficit cannot be tackled without taking on Social Security, Medicare and Medicaid spending, or by raising taxes," said Kaiser President and CEO Drew Altman. "But the American people do not believe this at all. There is a huge gap in basic beliefs and understandings of the problem and what it takes to solve it." "The public is frustrated with politics as usual, and may be saying that defunding a law is not how government should work," said Mollyann Brodie, senior vice president and director of the Foundation’s Public Opinion and Survey Research group. The public’s concerns about the law are varied, and tend to vary by party affiliation. More than half of Americans, including 81 percent of Republicans and 57 percent of independents, believe it will entail too much government involvement in the health care system. Yet most Democrats, 58 percent, think it will lead to about the right amount of government involvement. Also, despite the Congressional Budget Office’s findings to the contrary, 60 percent of Americans think the law will boost the deficit over the next decade -- a view common even among supporters of the law. Despite such concerns, many of the law’s component parts remain popular. Substantial majorities of Americans say they favor many of its provisions such as gradually closing the coverage gap known as the Medicare doughnut hole (85%), providing subsidies for low- and moderate-income Americans to buy health insurance (79%), establishing a voluntary insurance program known as the CLASS Act to help pay for long-term care services (76%) and expanding the Medicaid program (67%). Some provisions are less popular, including requirements that all but the smallest employers offer health insurance to their workers or pay a penalty (51% oppose this) and, most controversially, that nearly all Americans obtain health coverage or face a fine (76% oppose). quickly to reduce the deficit and most Democrats (61%) preferring to wait until the economy gets better. Most Americans -- including majorities of Republicans and independents (76% and 59%) and a plurality of Democrats (39%) -- prefer spending cuts over tax increases as the main way to reduce the deficit. But finding spending cuts the public will accept will be difficult for lawmakers. Of the 12 areas of spending cited in the poll, the only one in which a majority of Americans say they are willing to support "major reductions" is the relatively small amount devoted to foreign aid. In addition, about four in ten would back major reductions in funding for the war in Afghanistan and in salaries and benefits for federal workers. In contrast, a majority of Americans said they would support no spending reductions in Social Security (64%) and Medicare (56%), two entitlement programs that together account for about a third of all federal spending. Nor do they want to see any reduction in spending for public education (63%). Nearly half say the same thing about Medicaid (47%). Very small percentages of Americans support the "major reductions" that some believe are necessary in programs such as Social Security (8%), Medicare(8%) and Medicaid (13%), the survey found. Medicaid and 10 percent of whom support major reductions to Medicare and Social Security. "The upcoming battle lines are clear," said Robert Blendon, professor of health policy and political analysis at the Harvard School of Public Health. "One side will argue we need across the board cuts in domestic spending to quickly reduce the deficit, the other that popular health care programs should not be cut even if the deficit is not reduced. Which side will win is not clear." The public’s reluctance to touch Medicare, Social Security and, when it comes to big cuts, also Medicaid may stem from the benefits, direct and otherwise, that people believe they confer on their families. More than three-quarters of Americans rated Medicare as either "very important" (55%) or "somewhat important" (22%) to their families, while nearly six in ten said the same thing about Medicaid (39% "very important," 20% "somewhat important"). Sixty-eight percent of Americans say the country’s budgetary problems can be addressed without trimming Medicare spending at all. The full question wording, results, charts and a brief on the poll can be viewed online. The Health Information Technology Policy Committee (HITPC) is a federal advisory committee that advises the U.S. Department of Health and Human Services (HHS) on federal HIT policy issues, including how to define the ―meaningful use‖ (MU) of electronic health records (EHRs) for the purposes of the Medicare and Medicaid EHR incentive programs. The HITECH portion of the American Recovery and Reinvestment Act (ARRA) of 2009 specifically mandated that incentives should be given to Medicare and Medicaid providers not for EHR adoption but for ―meaningful use‖ of EHRs. In July of 2010, HHS released that program’s final rule, thus defining stage 1 MU and strongly signaling that the bar for what constitutes MU would be raised in subsequent stages in order to improve advanced care processes and health outcomes. The HITPC held six public hearings in 2010 including testimony from several dozen stakeholders and received additional dozens of public comments via its blog. All of this input helped to inform its many hours of public deliberations regarding the future vision of MU (e.g., stage 3) as well as the interim stepping stone of stage 2 MU that will set expectations for 2013 and 2014. The HITPC has developed a preliminary set of recommendations specifically designed to solicit additional public feedback. The goal of sending out this request for comment (RFC) early is threefold. Following analysis of the comments received through the approximately 45-day public comment period, the HITPC intends to revisit these recommendations in its public meetings in the spring of 2011. At that time, the HITPC will be able to review public comments in the context of the early feedback from providers on experience with stage 1 MU. That input will come through many vehicles: the Medicare program, the Medicaid program (both federal and state constituencies), the HIT regional extension program, and other sources. Note, this RFC solely represents the preliminary thinking of the HITPC and its Meaningful Use Workgroup. The HITPC has created a matrix of objectives and measures that it is considering for its recommendations to HHS. These objectives are organized into four of the five health outcome priorities that formed the stage 1 MU organizing structure. The HITPC approached its task of developing proposed stage 2 objectives by first developing a longer-term vision for MU and then determining what an appropriate stage 2 stepping stone is to get there. For this reason, the matrix includes possible stage 3 objectives, but they are only included in the matrix in order to provide context for the Stage 2 recommendations. Therefore, for the purpose of this Request for Comments, the HITPC is primarily interested in comments on the proposed Stage 2 objectives at this time. The HITPC has a concurrent activity that is developing Stage 2 and 3 recommendations for the fifth health outcome priority — ensure adequate privacy and security protections for personal health information. The HITPC and its Privacy & Security Tiger Team will subsequently release recommendations for this domain. In addition, the HITPC has a Quality Measures (QM) Workgroup that is concurrently developing a framework for the evolution of clinical quality measures to be electronically reported as part of Stages 2 and 3 MU. The HITPC recently collected public input through a request for comment on a set of proposed measure concepts, and it will provide more guidance on its measure development priorities in the near future following synthesis and analysis of those public comments. Other recommendations about information exchange are being developed by the HITPC’s Information Exchange Workgroup. What is the availability of formularies for eligible professionals? How should ―active patient‖ be defined? Can be scanned, narrative, structured, etc. 80% of patients offered the ability to view and download via a web-based portal, within 36 hours of discharge, relevant information contained in the record about EH inpatient encounters. Data are available in human-readable and structured forms (HITSC to define). 80% of patients offered the ability to view and download via a web-based portal, within 36 hours of discharge, relevant information contained in the record about EH inpatient encounters. Data are available in human readable and structured forms (HITSC to define). demand) relevant information contained in the longitudinal record, which has been updated within 4 days of the information being available to the practice. Patient should be able to filter or organize information by date, encounter, etc. Data are available in human-readable and structured forms (HITSC to define). demand) relevant information contained in the longitudinal record, which has been updated within 4 days of the information being available to the practice. Patient should be able to filter or organize information by date, encounter, etc. Data are available in human readable and structured forms (HITSC to define). How should ―communication medium‖ be delineated? What elements should be included in a longitudinal care plan including: care team members; diagnoses; medications; allergies;goals of care; other elements? EH and EP: Mandatory test. Immunizations are submitted to IIS, if accepted and as required by law. During well child/adult visits, providers review IIS records via their EHR. EP: lab reporting menu. For EPs, ensure that reportable lab results and conditions are submitted to public health agencies either directly or through their performing labs (if accepted and as required by law). EH: submit reportable lab results and reportable conditions if accepted and as required by law. Include complete contact information (e.g., patient address, phone and municipality) in 30% (EH) of reports. Public Health Button for EH and EP: Mandatory test and submit if accepted. Submit notifiable conditions using a reportable public-health submission button. EHR can receive and present public health alerts or follow up requests. The Health Information Technology Policy Committee welcomes public comment on all proposed objectives and their associated definitions. In addition, the Committee seeks specific input on the following additional questions. How can electronic progress notes be defined in order to have adequate specificity? For patient/family access to personal health information, what standards should exist regarding accessibility for people with disabilities (e.g., interoperability with assistive technologies to support those with hearing, visual, speech, or mobile impairments)? What strategies should be used to ensure that barriers to patient access – whether secondary to limited internet access, low health literacy and/or disability – are appropriately addressed? What are providers’ and hospitals’ experiences with incorporating patient-reported data (e.g., data self-entered into PHRs, electronically collected patient survey data, home monitoring of biometric data, patient suggestions of corrections to errors in the record) into EHRs? For future stages of meaningful use assessment, should CMS provide an alternative way to achieve meaningful use based on demonstration of high performance on clinical quality measures (e.g., can either satisfy utilization measures for recording allergies, conducting CPOE, drug-drug interaction checking, etc, or demonstrate low rates of adverse drug events)? Should Stage 2 allow for a group reporting option to allow group practices to demonstrate meaningful use at the group level for all EPs in that group? In stage 1, as an optional menu objective, the presence of an advance directive should be recorded for over 50% of patients 65 years of age or older. We propose making this objective required and to include the results of the advance-directive discussion, if available. We invite public comment on this proposal, or to offer suggestions for alternative criteria in this area. What are the reasonable elements that should make up a care plan, clinical summary, and discharge summary? What additional meaningful-use criteria could be applied to stimulate robust information exchange? There are some new objectives being considered for stage 3 where there is no precursor objective being proposed for stage 2 in the current matrix. We invite suggestions on appropriate stage 2 objectives that would be meaningful stepping-stone criteria for the new stage 3 objectives. The HITPC identified proposed new objectives because of their potential impact on the five health outcome priorities to be achieved through the meaningful use of EHRs. Some of the relevant evidence to these proposed objectives is reflected below. In a randomized control trial assessing the efficacy of a home-based computer system in providing information and decision support as well as expert and other patient contacts to patients with HIV, findings were significant for improved quality of life indicators such as cognitive function, social support and participation in their health care, and also for decreased time spent during ambulatory visits, fewer phone calls to providers, and decreased number and length of hospitalizations. Qualitative data analysis of provider impressions of a patient centered CDSS (Patient Assessment, Care and Education) designed to increase identification and treatment of chemotherapy related symptoms affirmed the increased awareness of underreported symptoms and additional benefits such as better communication with patients. A retrospective cross-sectional study analyzing the adoption of and patient satisfaction with a PHR reported 25% of patients registered with PHR and reported over 90% satisfaction with the PHR, with greatest satisfaction with test results, medication refills, and secure messaging. A CDSS electronic checklist specifically aimed to improve delivery of evidence based discharge instructions for patients with heart failure (HF) or acute myocardial infarction (AMI) was evaluated to be effective in increasing delivery of discharge instructions (from 37.2% pre-intervention to 93.0% post-intervention). In addition, prescription of ACEI or ARB in patients with HF and AMI improved to 96.7% from 80.7% and to 100% from 88.1%, respectively. An interventional study assessing the effect of patient messaging reminding patients of screening, diagnostic and monitoring tests in accordance with evidence based guidelines found an increase in adherence to clinical recommendations by 12.5% (p < 0.001). A randomized control trial of 246 patients who were newly diagnosed with breast cancer assessed the effect of a home-based computer system with information, decision-making and emotional support. The study found that patients in the intervention group were significantly more competent in seeking information, more comfortable participating in care, and more confident in their interactions with physicians at two months post intervention and had better social support and information competence at five months post intervention. Furthermore, the relative benefits in the intervention group were greater for patients in underserved populations. A randomized control trial evaluating effect of CDSS alerting physicians to order venous thromboembolism (VTE) prophylaxis showed the intervention resulted in 41% decreased risk for VTE at 90 days. Using CDS to alert physicians and pharmacists to 8 critical drug interactions resulted in 31% decrease in dispensed drugs known to have adverse interactions. A prospective analysis of an antimicrobial surveillance system using evidence based guidelines in a children’s hospital showed successful identification of prescribing errors allowing for early intervention. Analysis of a CDS system intervention aimed at improving asthma documentation and management in the emergency department found that asthma severity, asthma precipitants, ICU admission history and smoking status were recorded significantly more often with the CDSS. Additionally, 76% of patients received a discharge asthma plan compared with 16% before the intervention. A prospective cohort study assessed efficacy of CDSS in identifying patients with acute lung injury (ALI) compared to physician diagnosis alone. This study is significant because early treatment of ALI is critical to overall prognosis. The CDSS had a sensitivity of 96.3% and specificity of 89.4% whereas physician diagnosis was 26.5% sensitive and 99.5% specific. Although the CDSS was less specific, physician diagnosis alone missed 239 cases while the CDSS missed 12. Implementation of a web-based laboratory information system to treat multi-drug resistant tuberculosis patients in Peru greatly improved timely access to lab results and user satisfaction. The system was expanded to other institutions based on its success to serve a network for over 3.1 million patients. The system is at relatively low cost amounting to 1% of National Peruvian Tuberculosis annual budget. Population based surveillance system in a large multicenter primary care network identified patients overdue for mammography screening. The interventional study showed that providers successfully contacted 63% of over 3,000 patients at risk. A computer based smoking cessation program designed after extensive review of the literature on the barriers associated with such a program, was found to be effective, inexpensive and required little time or skill from staff. The program was continued following the conclusion of the study because of the satisfaction rates from providers and patients. Study showed feasibility and reliability of EHR based chronic kidney disease (CKD) registry composed of 57,276 patients in accurately relaying demographics and most comorbidities when compared to individual EHR chart review (κ >0.80). Study concluded such a registry has the potential to improve quality of care in this patient population and contribute to the development of a national CKD surveillance project. A study assessing the effect of a medication reconciliation program in an ambulatory oncology clinic found at least one error in 81% of all patients’ medication lists. In the group that received the intervention, 90% of incorrect medication lists were corrected, while only 2% were corrected in the control group (p < 0.001). 2007 cross-sectional survey of US home health and hospice agencies found 33% increase in use of EHRs since 2000. The agencies used available EHR functionalities in general, including telemedicine and information sharing.. Antibiotic approval system guiding use of 28 restricted antibiotics improved appropriate use of antibiotics and led to increased susceptibility of S. aureus to methicillin and of pseudomonas to several antibiotics. Patients with gram negative bacteremia did not suffer increased adverse outcomes as a result. An interventional study (n=2200) compared RBC transfusions in critically ill patients before and after evidence based CDS intervention significant decrease in number of RBC transfusions per patient and percentage of patients transfused (p = 0.045 and p = 0.01 respectively) and net savings of almost $60,000 (n=1100 patients).